How much did the ancients know about the stars? Did they understand our solar system better than we realise? Were they connected to the universe in ways we might never understand. 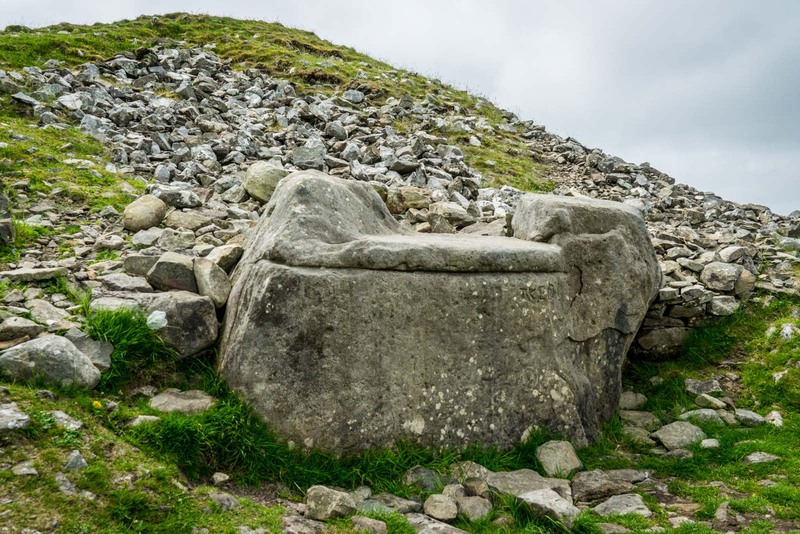 More than 5000 years ago, before Stonehenge was built and before the Egyptians put up the Great Pyramids of Giza, there were people in Ireland building stone structures more advanced than we might, at first, give them credit for. 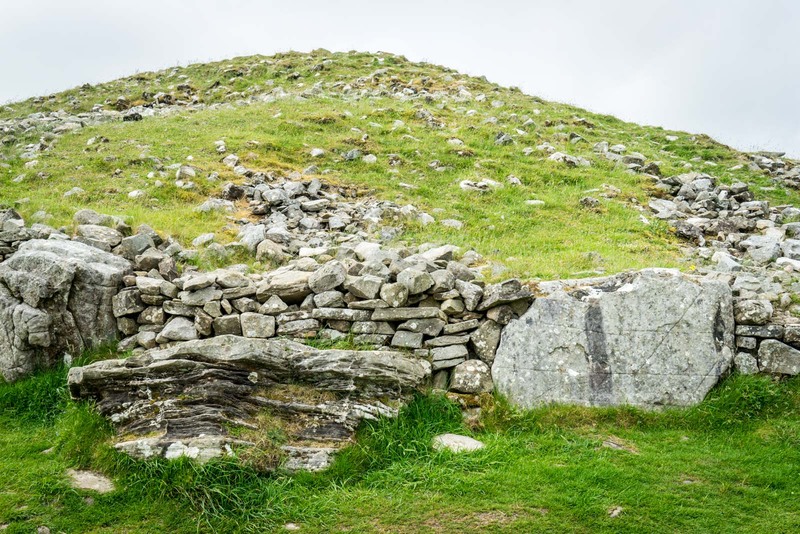 These tombs – we guess they’re tombs – seem to have special properties that connect them more with the sky than the earth. One might have a passage where the sunrise will shine straight through only on the summer solstice. Another will do the same just on the winter solstice, others on the equinox. But what other mysteries might they contain? Are they laid out across the landscape in patterns that replicate constellations? 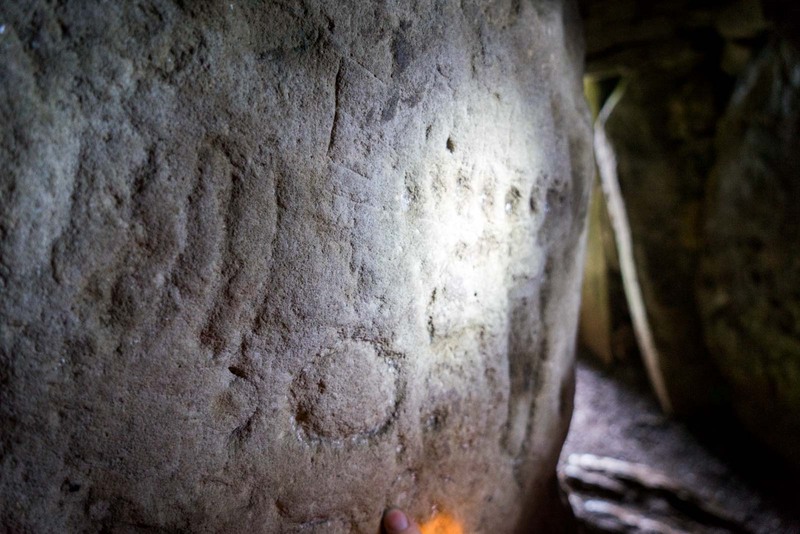 Are the symbols carved into the rocks diagrams of the passage of the sun or another star? I’ve written previously about a similar megalithic tomb in Ireland, probably the most famous one, called Newgrange. 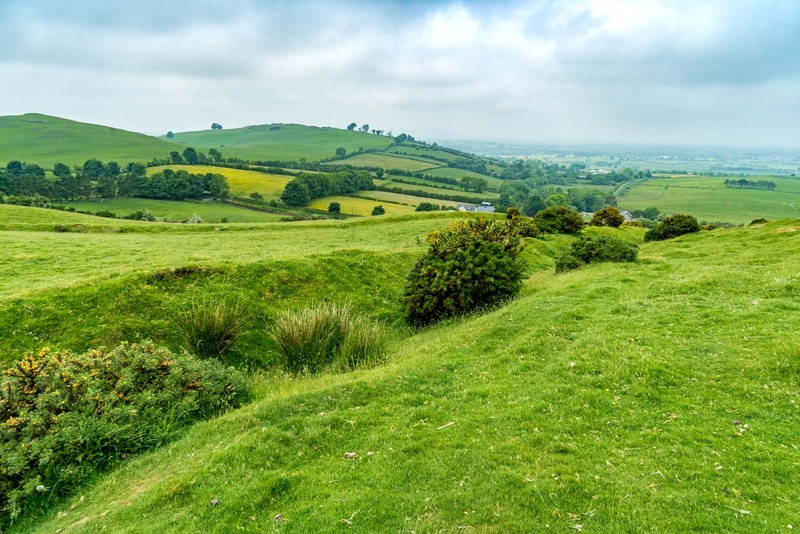 Today I want to tell you about another special site called Loughcrew. 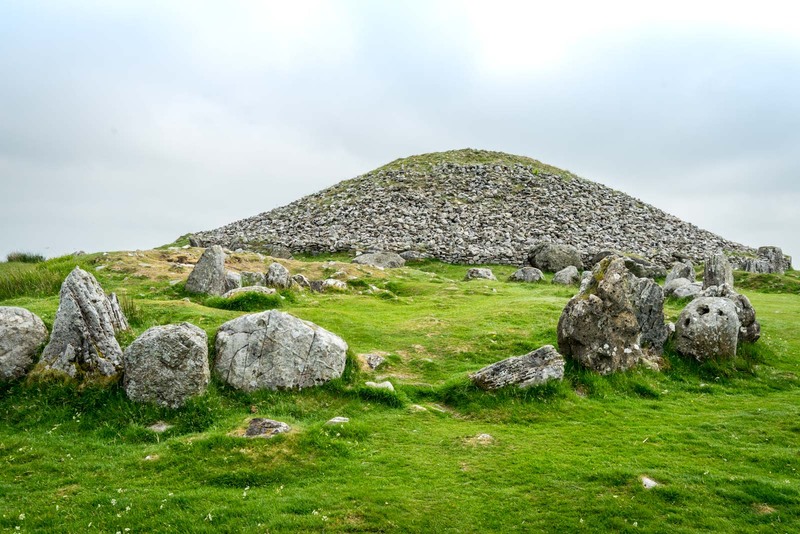 Loughcrew, about an hour drive from Dublin, actually has 32 of these mounds, or cairns, as they’re known. Some of them are almost impossible to see, covered in grass and flattened by the weather over thousand of years. Of those that can be seen, just a few are particularly significant. I head to ‘Cairn T’ (they are all rather unimaginatively named with letters) because that seems to be where the crowd is. This is one of the important ones because of the way its passage lines up with the sun for the equinox twice a year. If you were to be inside at sunrise on one of those days, you would see an orange beam of light come through the entrance and hit the artwork at the back. 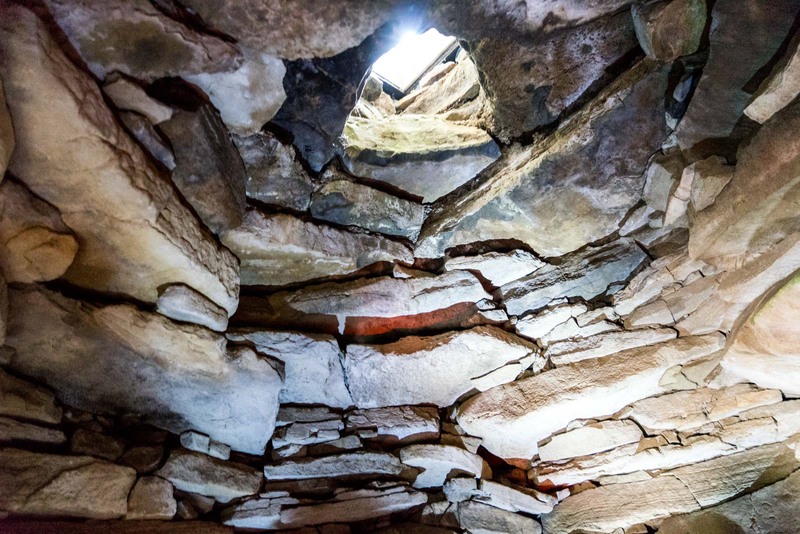 You can go inside the cairn, scrambling over an entrance stone and ducking beneath the low ceiling of the passage. Once you’re in the middle, though, it’s possible to stand up and look around. “Don’t touch the stone,” the guide says when I’m inside. Nothing has fallen down for 5000 years, such was the ingenuity of the construction. Still, it’s not worth the risk that this could be the day a silly tourist dislodges the piece that’s holding it all together! The cavern in the middle is quite small, compared to Newgrange. While almost twenty of us were able to fit inside there, here there is only room for about six of us. 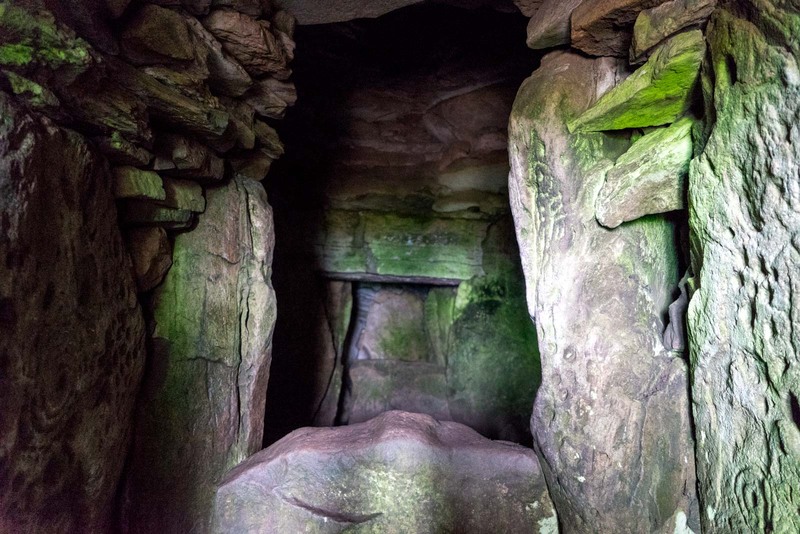 An advantage of Loughcrew, though, is that you’re able to take photos and you get to see the walls better because there are less people in the way and there’s more light (the passage is much shorter). If the construction of hollow mounds that have lasted for 5000 years is not impressive enough, if the almost scientific alignment of the tombs to coincide with astronomical events doesn’t blow your mind completely, then you still have the art to marvel over. And to mull over. I say ‘mull over’ because it’s not really clear what the designs carved into the stones mean. There’s certainly a pattern to them, they’re not random, but it’s anyone’s guess as to whether they depict scenes from daily life, observations about the sky, or are symbols of an ancient religion. Or something else. 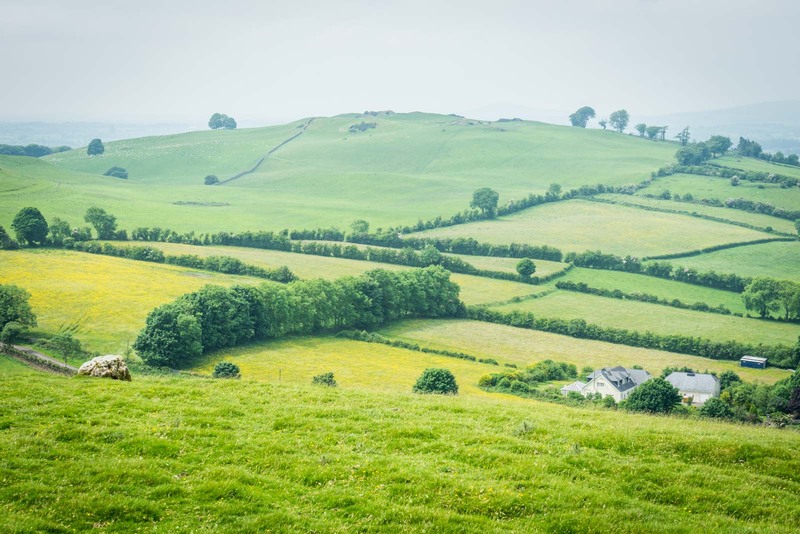 Although we refer to this site as Loughcrew these days, it was once known as the ‘Hill of the Witch’. Loughcrew got this name because of an old legend dreamed up by locals many centuries (probably millennia) ago. The story goes that a giant witch walked across the land here with enormous heavy stones in her apron. As she walked, the stones fell out and sunk into the earth, forming the shapes we still see today. On the edge of Cairn T is a shape made from rocks that looks a bit like a bench or a pagan throne. This is called the ‘Witch’s Seat’ and legend has it that this is where she once sat. Don’t think too much about the discrepancy in size, though. It’s a bit like a Lord of the Rings movie where the hobbits seem to change their height in each scene! It’s interesting to think about this folklore from yesteryear. We can have a bit of a laugh today – of course a giant witch didn’t walk across the earth! But people believed it then just like we believe today that these mounds are tombs created by man 5000 years. Ok, we have a bit more science to back up our theory but we are not as advanced as humans will presumably be in another 1000 years. What will they think of Loughcrew then? What will they think of us then? 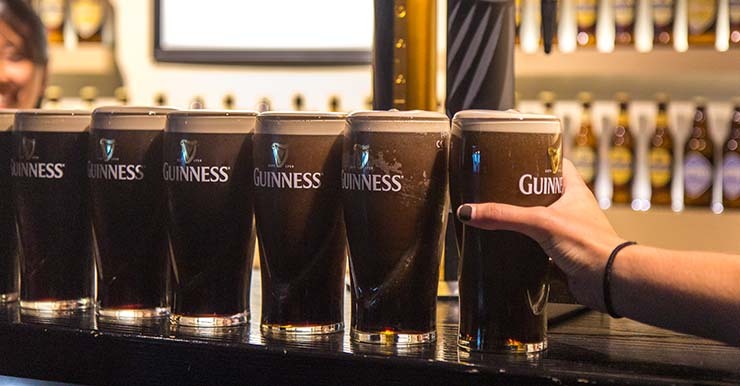 The mysteries of Ireland’s Ancient East endure. For accommodation, you might like the Four Seasons in Carlingford. My favourite place in County Meath! 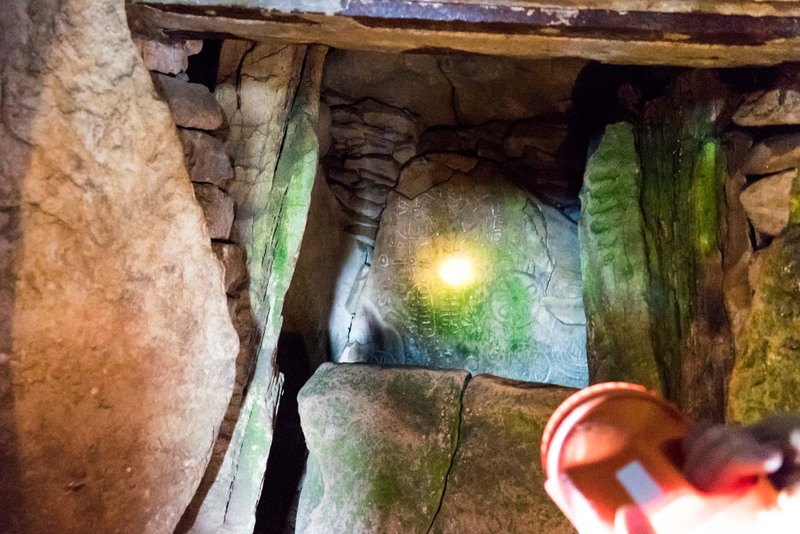 Much more beautiful and mysterious than Newgrange:) Great pictures! I’m so glad to hear this is your favourite place. I found it really interesting. It wasn’t as ‘spectacular’ as Newgrange but I thought it was a much more authentic experience and I enjoyed the freedom of being able to wander around the area without the need for a guided tour.